Do you have gift cards to give? Tired of simply putting them inside a Christmas card or an envelope? 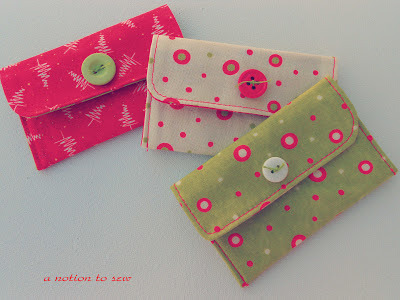 If you have just 30 minutes or an hour, you can stitch up one of these sweet, quick and easy gift-card holders. It is great packaging in which to present that special gift card. 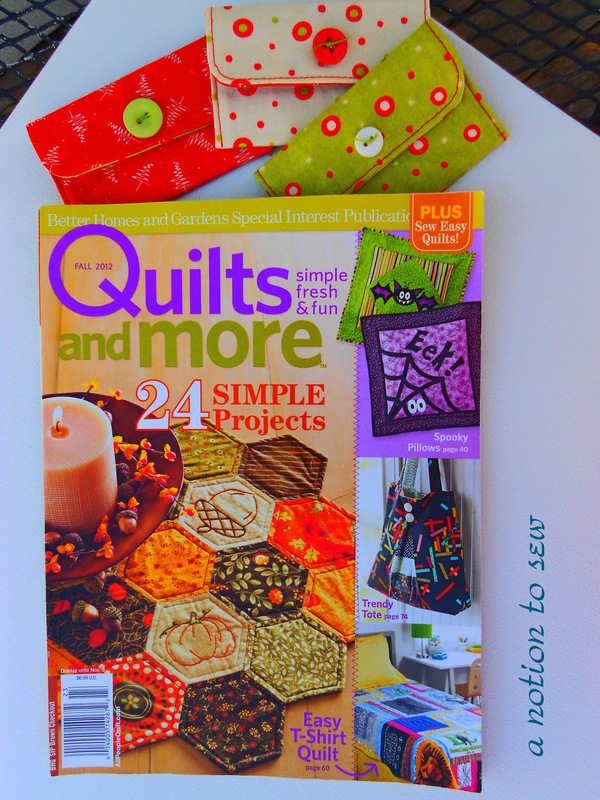 The pattern and instructions are in the Fall 2012 eidition of Quilts and more magazine. I sewed all three of these in about an hour. 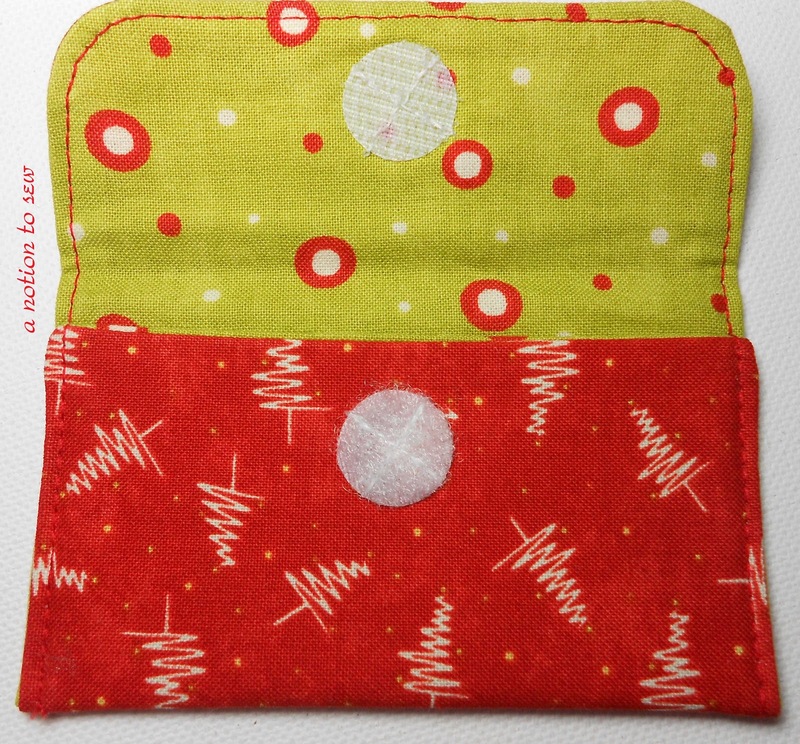 Don't you just love those quick-gratifying sewing projects that will bless others? Great idea and thanks for posting the source to make these! You're welcome, Linda. I'm thinking that hexi table runner on the front cover would be great for winter as some type of snowflake embroidery, Valentine's day with heart embroidery, etc.